Description:This is the entrance to Lewis's Arcade on Stafford Street. 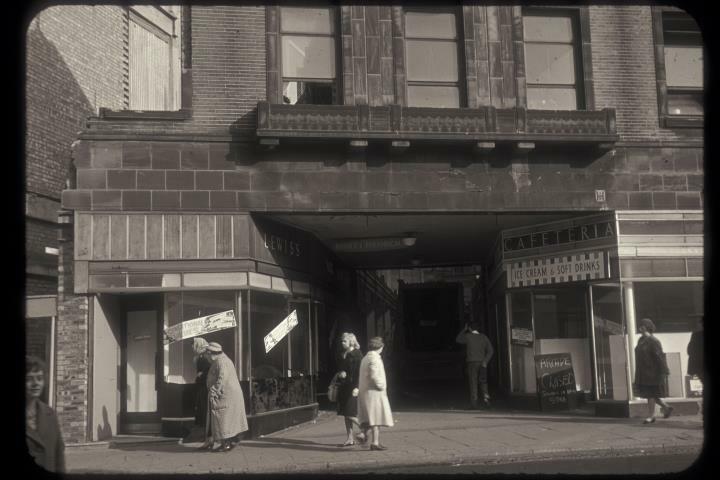 The Art Deco style arcade was on "an island" bounded by Stafford Street, Fountain Square, Market Square and Lamb Street. 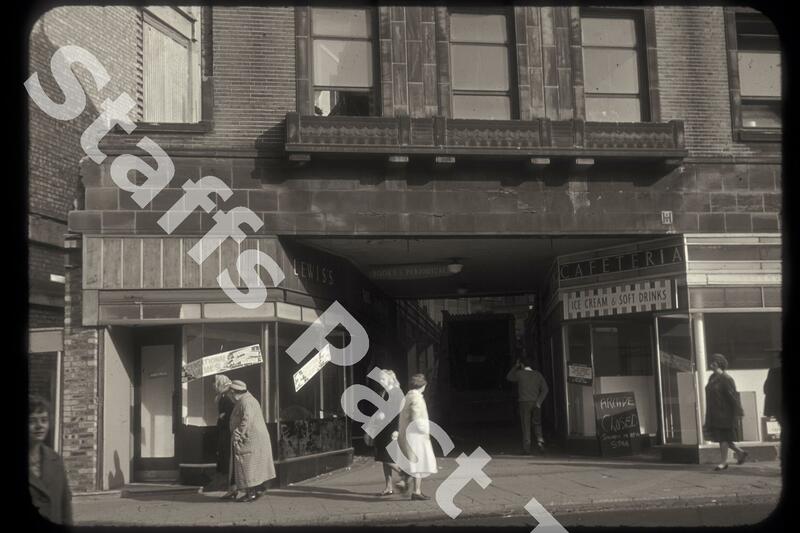 Dating from 1934/5 the arcade occupied the old McIlroy's Department store site. At the time of the photograph, the arcade was being demolished as Lewis's moved to their new store on adjacent Lamb Street. The island site today is mixed shops.